What should I focus on? Where do I start? What now? That didn’t work, now what? I just need someone to tell me what to do. I wish I had someone to look at this and give me a second opinion. I don’t know what I’m supposed to do or HOW to do it. I get it. I’ve been there. That was me. Those were my thoughts. Can we be real? That’s going to take up a lot of your time and NOT give you the personalized support you need for your business. This path might get you there…but it’s going to take a LOT longer to try and figure it out all on your own. The good news is – you don’t have to. There’s really no need for you to have to do it alone or to figure it all out. Once you find yourself a support system, a mentor, a mastermind, a team, and that one-on-one business advice you need – you’ll skip hours (and hours and hours) of time figuring it all out. Goodbye burn out, constant overwhelm, and confusion. Hello focus, action, & results! 5,000 Business Owners have trusted Marketing Solved to help them grow their business. This program here. This Inner Circle. This is what I needed. It might be exactly what you need. You’re someone that needs answers to YOUR questions. Feedback on YOUR marketing. Support for YOUR business. That’s what this inner circle is all about. It’s your tribe. Your network. Your support team. It’s about your success. Your results. Your freedom. So, join us. You can get the training you need, support YOU need. Don’t try to reinvent the wheel. Use what already works! Monthly Newsletter Highlighting Monthly Trainings, New Resources, Changes, and Updates to Keep You Up to Date EASILY. Behind The Scenes: Get a First Hand Look at Exactly How to Use Social Media, Create Funnels, Generate Revenue, Break Down Marketing Techniques, Review Ads, Grow Our List, & More. We show you exactly what's going on under the hood. 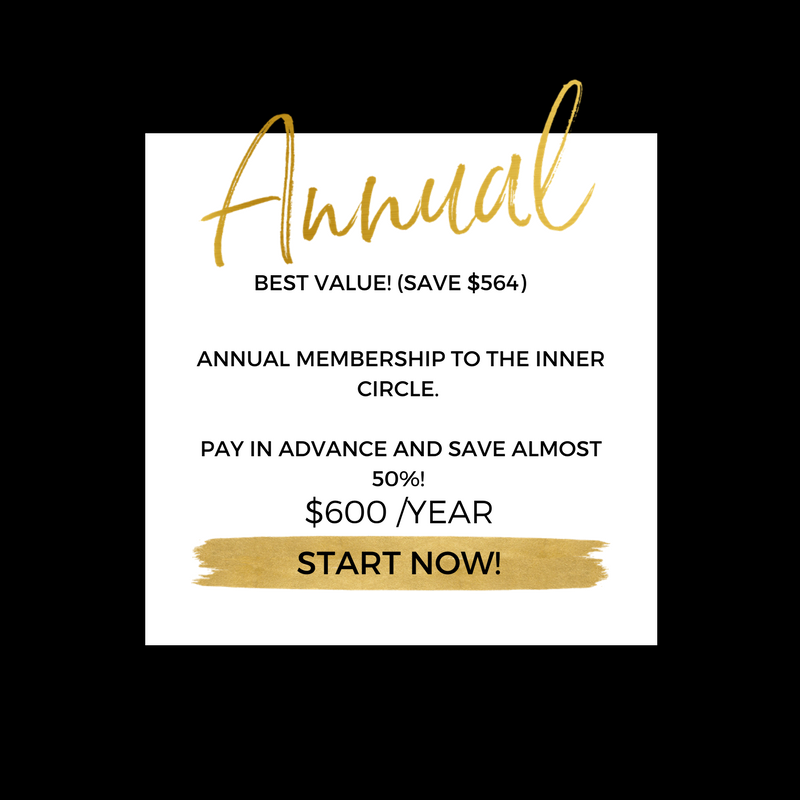 This inner circle is for business owners that want to get results. Period. 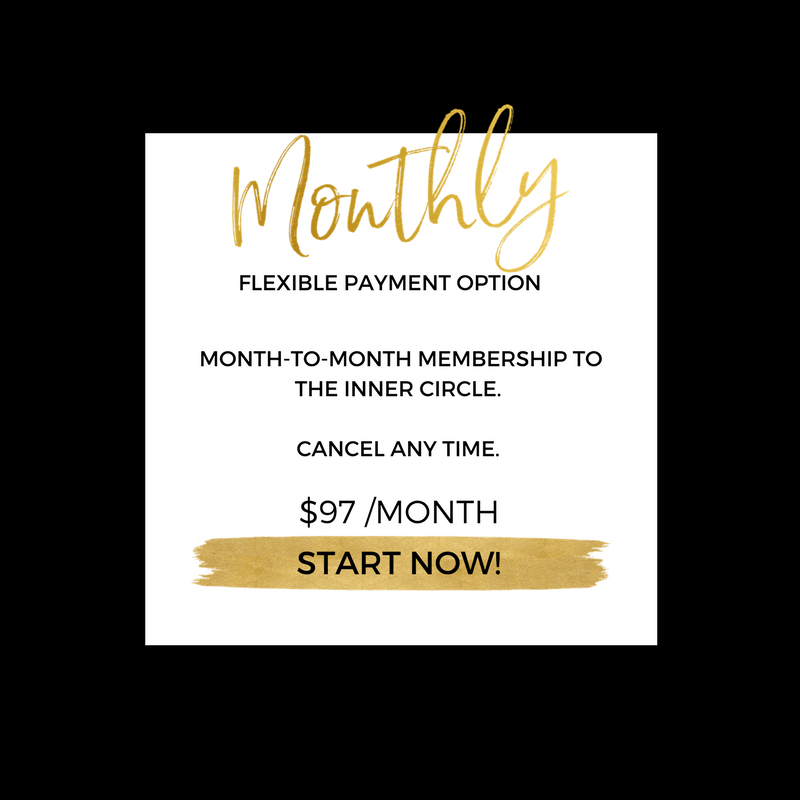 You’ll get the support and training you need each month. All you have to do is make the commitment, show up, & take action. If you’re new here, Hello new best friend! I’m Kat Sullivan, the CEO and Founder of Marketing Solved. I’ve had the honor of working with over 5,000 entrepreneurs, helping them grow their businesses. I won the title Marketer of the Year in 2017! I believe in universal approach to business and have tried, tested, and PROVEN the strategies you will learn. Everything I teach is something I’ve done. (Ahem) Not something I took a course on yesterday and am trying to teach you today. This means we don’t just focus on content marketing or social media or advertising. We believe that all of these connect together and you need to tools to make them work together. We’re 100% RESULTS driven. I don’t believe in working 80 hours a week or to “Hustle” until your face falls off (unless you want to). I believe in working smarter – not harder. Entrepreneurship is meant to give you freedom, time with your family, and doing what you love while making an impact. Support and mentorship is a non-negotiable in business. I tried to do it on my own for way too long and realized it was ridiculous to think I could do it on my own. (you can’t) Once I found my tribe, my mentors, and my support team – business took off. There’s a reason for this. I believe in building you up. Giving you opportunities. Pushing you as much as you’re comfortable (maybe a wee bit more) – only because I know you are capable and can accomplish everything you believe you can. This is NOT for you if you like to make excuses, don’t take action, complain endlessly, or quit easily. 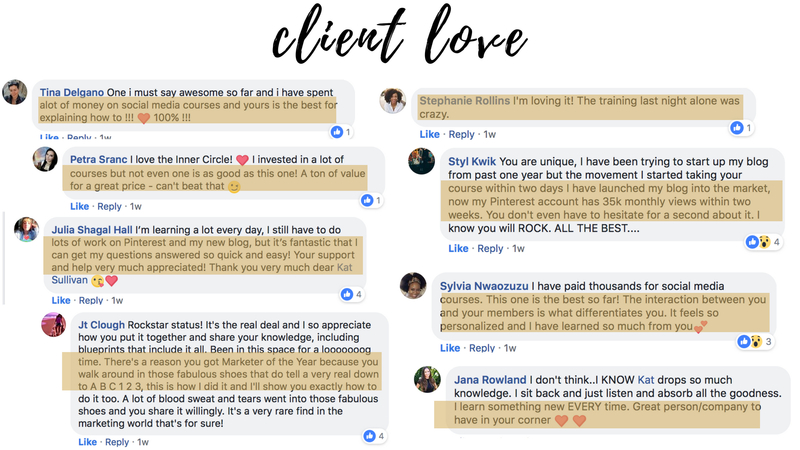 This is my invitation to you to join a tribe and find people who truly cares about you. You’re not just another number. You’re a part of our community and we will always honor your commitment to this inner circle. Professionally, I’ve worked with and learned from the BEST of the BEST in the world. From Stedman Graham (yes,Oprah’s Stedman) to James Malinchak (The Secret Millionaire). I’ve had the opportunity to speak on the same stages as Jack Canfield (Chicken Soup For The Soul), Kevin Harrington (Shark Tank), Leeza Gibbons (Celebrity Apprentice), John Assaraf (The Secret), Russell Brunson (ClickFunnels) and MORE. Everyone I meet, I learn from. Everything I learn, I share with YOU. Cancel Anytime! No hard feelings. You can cancel directly in your members area, through your payment provider (PayPal) or you can email team@marketingsolved.com and we can process your cancellation within 7 days. Please Note: There are NO refunds for this program. Due to the nature of the program – you immediately receive access to protected information. In order to protect this intellectual property – we can not provide refunds after you access the program. Follow the cancellation instructions above. How Do I Get The Most Out Of The Program? Access the members area and navigate to the trainings that are most relevant for you. If you need additional area – the video vault has supplemental courses and training you can access any time. Show up on the Live Trainings & Q&A calls. These are your opportunities to present your unique situations and get answers / feedback specific to your business. Post in the Facebook Group – Whatever you need assistance with, share it in the group for members to help you with! We do not guarantee your results because they rely entirely on your actions. We can, however, commit to you, that if you show up and implement what you learn, you will absolutely increase your results online. How Do I Get Marketing Solved Promotions? Promotions will be outlined in the Monthly Newsletter and in the Facebook Group for you to apply. These include opportunities to be listed in articles, email blasts, Facebook group, Facebook Live, Interviews, and on Social Media. Where Do We Watch Live Trainings? The trainings will be dual-cast on Zoom Webinars & inside the Facebook group. You can participate in whatever platform you choose. After the live trainings, the recordings will be listed infinitely inside the members area. All training notifications, times, and dates will be sent to you via email & inside the Facebook group. It is your responsibility to stay in communication to get these important notices.